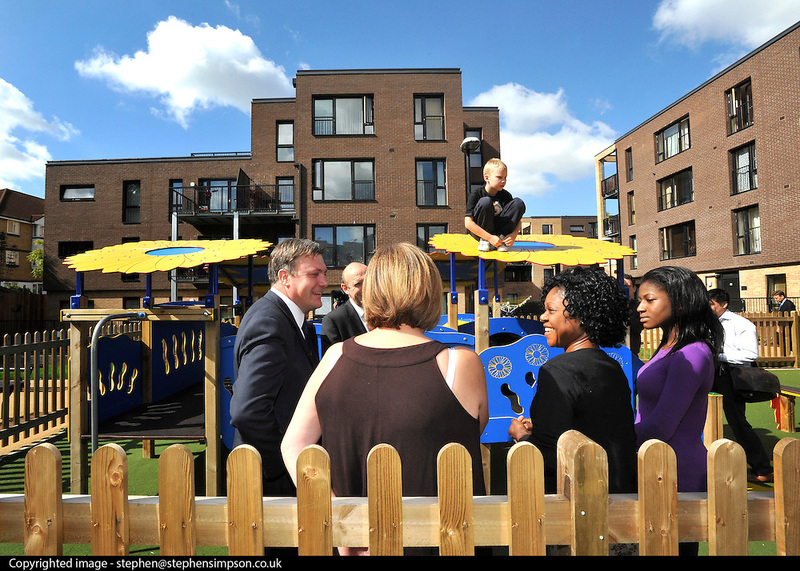 SOUTH BERMONDSEY, LONDON: (L-R) Ed Balls, and residents, Gillian Warren, Alfie Warren, Patricia Ofoche, Nneka Ofoche. Ed Balls, Labour Leadership candidate joins shadow housing minister John Healey and shadow work and pensions secretary Yvette Cooper during a visit to a housing development, The Falcon Works development, in central London on 31 August 2010. STEPHEN SIMPSON..